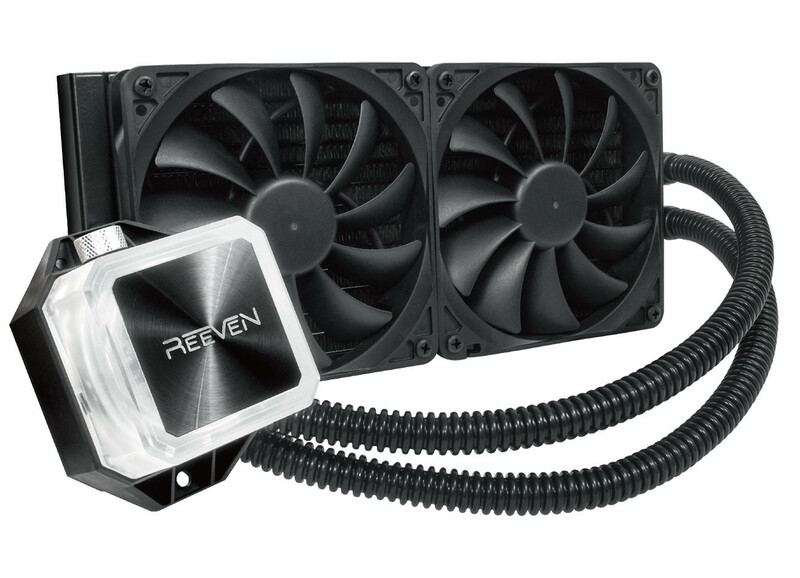 Reeven today introduced the Naia 240 all-in-one liquid CPU cooler. The cooler is characterized by a clear acrylic pump+block with a small reservoir, which the company refers to as "water above pipe" design. The cooler has two reservoir segments, one at the radiator, and another at the pump-block. The one at the pump-block has a coolant injector port, letting you add coolant colors. The block features white LEDs, which lets the coolant glow through the acrylic top. 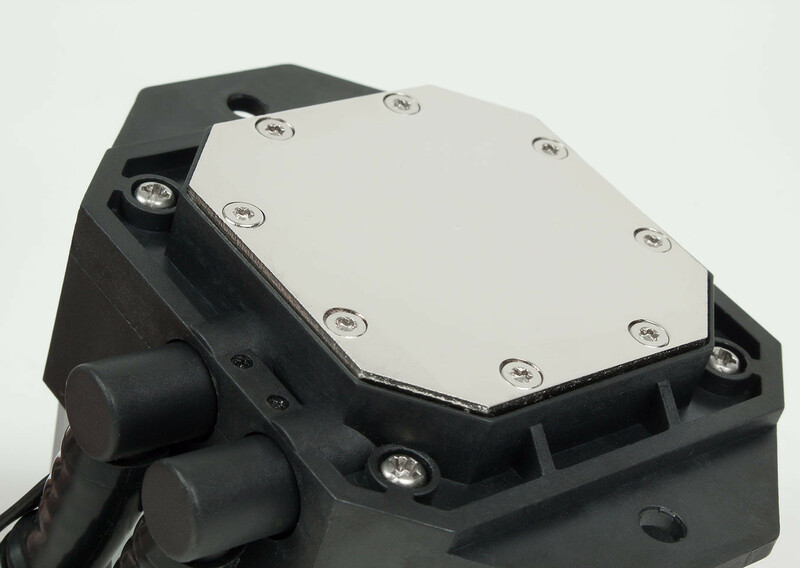 The pump-block is plumbed to a 240 mm x 120 mm radiator, which is ventilated by a pair of Reeven ColdWing 12 (120 mm) fans, which spin between 300 to 1,600 RPM, pushing up to 90.28 CFM of air, with a noise output ranging between 6.5 to 30.9 dBA. The block features a dense micro-fin array with 0.11 mm-thick fins. 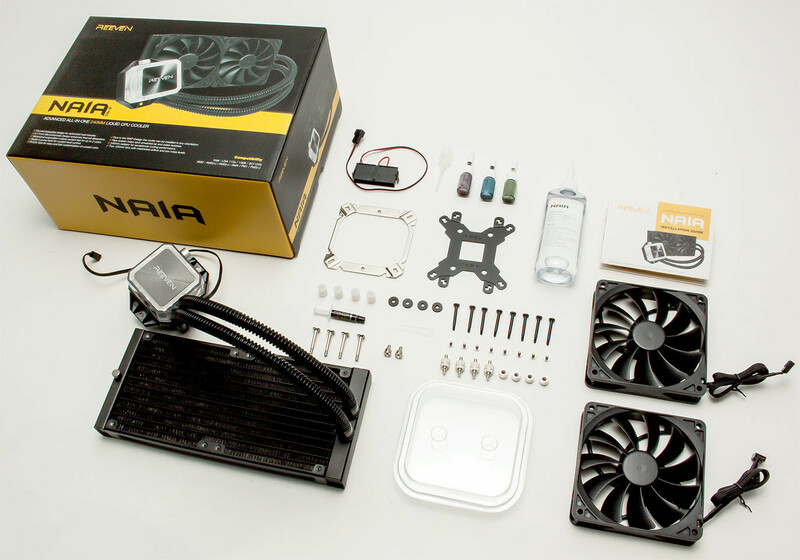 Out of the box, the cooler supports Intel LGA2066/2011(v3), LGA115x, AM4, AM3(+), and FM2(+), but socket TR4 support can be added with an optional retention module purchased separately. The company didn't reveal pricing. 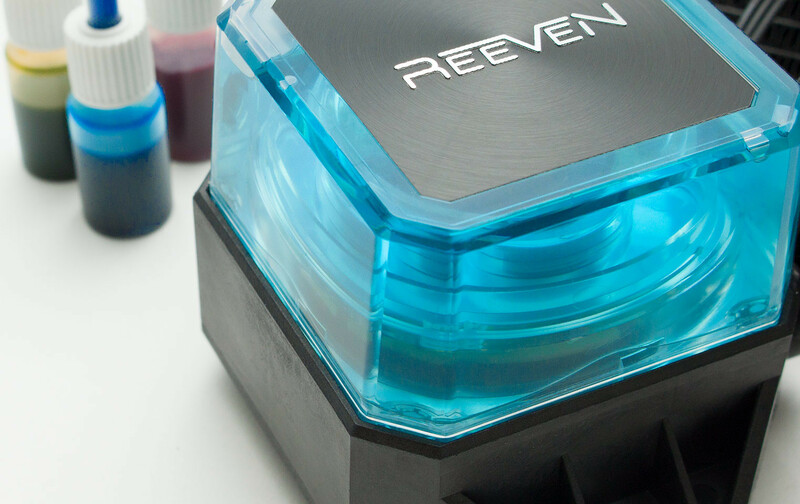 At Reeven, we don't do RGB, it's so 2016! We're bringing back the 1980s! Our new cooler has the unique coolant injector port, allowing the same 16.7 million distinct colors as RGB, without cluttering up your PC with more crappy RGB software (some mixing required). Not for children under 3 years of age. Not responsible for stained clothing, furniture, or skin. I guess TPU is quite late on this news, it's nearly 2 months old news; the product has been reviewed by me last month. That this is old news! The most disturbing thing for me is that they do not open up these products in all the reviws and show the internal parts and the quality of their work.